January 30, 2008 January 12, 2019 Jeff Fenske Filled with the HOLY Spirit, Getting Right with Each Other, Lying • One!, No Enemy, Real History • ONE!, Revival • ONE! (video) Asbury Revival, 1970: RECONCILIATION the KEY! — "’Dr. Kinlaw, I am a liar. Now what do I do?’ … Three days later, she came to me radiant, and she said, ‘I just hit my 34th person and I’M FREE!’"
Dennis Kinlaw, President of Asbury College (1970) recalls this amazing event. “A format had been developed. It started in that opening chapel. A student would give his witness. He would tell about how God was dealing with him about sin in his life. He’d make his confession. And then he would tell how God had brought forgiveness to him, and restoration. Or how the need of his heart had been met—the spiritual need. As he would speak, there would be somebody in the audience who would say, ‘that’s like me.’ And then that person would come under conviction and come forward and kneel at the altar. She said, ‘I need help…. I’m a liar’ [Dr. Kinlaw breaks up with emotion] Excuse me. Forgive me for a minute. She said, ‘I just hit my 34th person and I’m free’ [Kinlaw raises both hands in the air in the way she probably had]! Who-Goes-To-Heaven Scriptures — Narrow is the Way | Who are the Children of God? — "There is therefore now *no condemnation* to those who are IN CHRIST Jesus, who don’t WALK according to the flesh, but ACCORDING TO THE SPIRIT"
On 1/14/12, the 4 year anniversary of this post, I pulled my $6,000 challenge, which ran for almost 2 years (mostly at $6,000). No one has been able to refute this straight Bible truth about who really goes to heaven and who really are the children of God according to what the New Testament says. “For the time will come when they will not listen to the sound doctrine, but, having itching ears, will heap up for themselves teachers after their own lusts; and will turn away their ears from the truth, and turn aside to fables” (2 Tim. 4:3,4). Once saved, always saved a doctrine of demons, a heresy, actually, that is destroying our land and sending many into eternal darkness, thinking they are going to heaven. And it will be flame on for many teachers, especially, who will get “a stricter judgment” for misleading the people from believing the many clear warnings in scripture. This is not a joke or a game. This is serious!!! On the positive side, Jesus stated in John 17 that He would give us His glory so we’d be ‘ONE’ with each other in Him. Then the world would know! I’ve been interested in this subject for about four decades, but I had a dream about 20 years ago in which I was told that I was in “danger of going to hell,” because I had been willfully lusting during a one or two week period while watching TV in the evening during a discouraging period in my life. So then we better not major on the nicer sounding passages from Paul’s intros and ignore the many straight-forward, conclusive texts in this essay which clearly lay out what is required to be a real, going-to-heaven Christian. When we’re honest with the text and ourselves, we’ll find that the entire New Testament teaches the same thing. Our consciences must be clear from biblically abiding in the Vine according to Romans 8:1, all of it (the NIV and other truth-gutting translations took out 8:1b). That the world will know — and we’ll be so happy…! This article has been online for 8 years. Because this issue is so crucial to almost everyone in so many ways, I’ve been offering a reward to anyone who can refute it — and no one has been able to. It’s easy to say ‘Lord,’ but quite different to actually do His will: to make sure our hearts are right with Him and each other. We know and have believed the love which God has for us. God is love, and he who remains in love remains IN GOD, and God remains in him. In this[,] love has been made perfect among us, that we may have boldness in the day of judgment, because as he is, even so are we in this world. Probably the greatest and most serious deception in the world is the misconception about what the Bible really teaches about who goes to heaven. Many are being deceived, having not been taught the truth about what Jesus’ requires so that we will have boldness (and I’m hoping even a very big smile) when we stand before Jesus. Conditional security TV interview with Dan Corner. 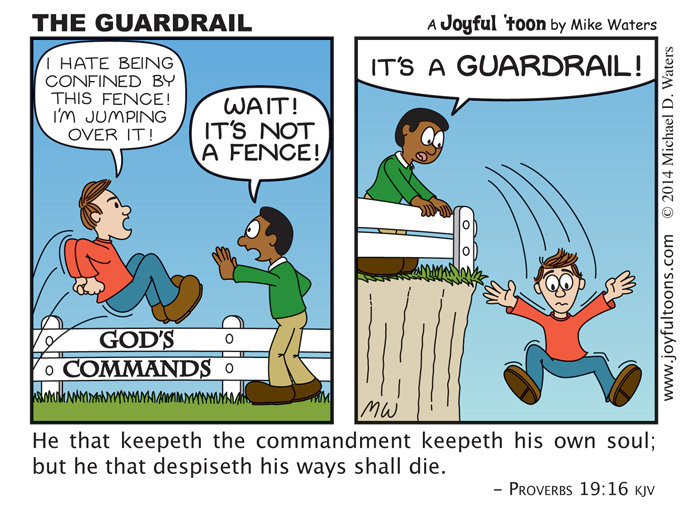 The Believer’s Conditional Security. January 13, 2008 Jeff Fenske Revival • ONE! [Non-OSAS Song] John Mellencamp: "Walk Tall"
January 13, 2008 Jeff Fenske Pray Perfectly in Tongues!, Revival • ONE! Survey: Is American Christianity Turning Charismatic? (Ventura, CA) – Pentecostal or charismatic Christianity is viewed by some Americans as an emotional, theologically suspect form of the Christian faith. It is widely thought to be a very vocal and visible, but numerically small slice of the grand religious pie in the United States. Two new surveys from The Barna Group, however, indicate that things are changing dramatically in the religious landscape. Those surveys – one among a national sample of adults and the other among a national sample of Protestant pastors – show that the number of churches and adherents to Pentecostal perspectives and practices has grown significantly in the past two decades. Priest: 10 'Hail Marys' & 10 'Our Fathers' Absolve Hit-Man? “You still a Catholic?” Kroft asks. “I mean, you can burn in hell for killing one person,” Kroft points out.